View our professional supply catalog for all of your Tank Parts and Supplies needs. Visit our professional supply shop for all of your Tank Parts and Supplies needs. 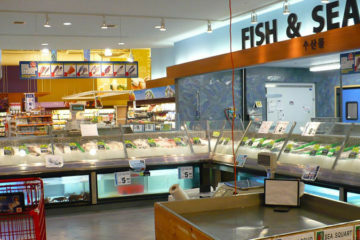 We efficiently save your company time and money, for a more profitable Seafood Department. With this in mind, we recommend scheduled preventative maintenance of your lobster tank every 3-6 months, to maintain proper operation of your unit. In addition to cleaning and checking all vital parts, our expertly trained technicians are qualified to work on any plumbing, electrical, acrylic, glass, refrigeration, or biological problems that may arise. 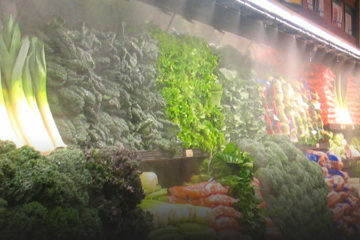 Crystal Clear Aquarium Service is a full service maintenance contractor for Seafood Lobster Tanks, Market Fresh Fish Tanks, Produce Misters, and Seafood and Meat Case Foggers. We are an industry leader in equipment installation and service. Our technicians are trained and equipped to handle all types of service calls, and installation of parts and equipment. Our office provides troubleshooting, dispatching and supply sales to provide a one-stop solution. We have established trusting relationships and a superior service reputation. We are experts in our industry. Our customers enjoy top-notch service whether it’s same day emergency service or schedule preventative maintenance. Each of our service vehicles are fully stocked with common replacement parts and supplies needed to maintain a clean and healthy tank. This saves our customers down time and money with fewer return trips. Why Choose Us for Lobster Tanks Service & Parts? 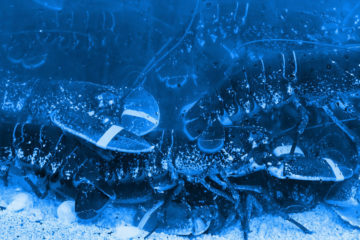 We have specialized in lobster tank repair and maintenance for over 20 years. We service every make and model of tank on the market. We schedule all visits in order of priority. Inoperable tanks are our top priority so that our customers experience minimal down time. We are generally able to service any tank within 24 hours of receiving the request. Crystal Clear has been a leader in our industry for over 20 years. Our customer loyalty speaks volumes about our reputation. Our customer's satisfaction is our top priority. We aim to exceed your expectations at every visit. Here at Crystal Clear Aquarium Service, we all take tremendous pride in our work, and we care about the satisfaction of our customers. We are fully licensed, bonded and insured for the safety of our employees and customers.